If you’ve spent any time on social media over the last few days, you’ll have noticed a lot of ‘2017, a year in review’ type posts. While I’m taking some time to reflect and review the last 12 months for me, I thought it would also be fun to have a look at what’s in store for 2018. Having created a 2018 Maidenhead charities calendar for the second year running, I feel that I’m pretty clued up about events in Maidenhead in 2018. I already have a few favourites to look forward to. 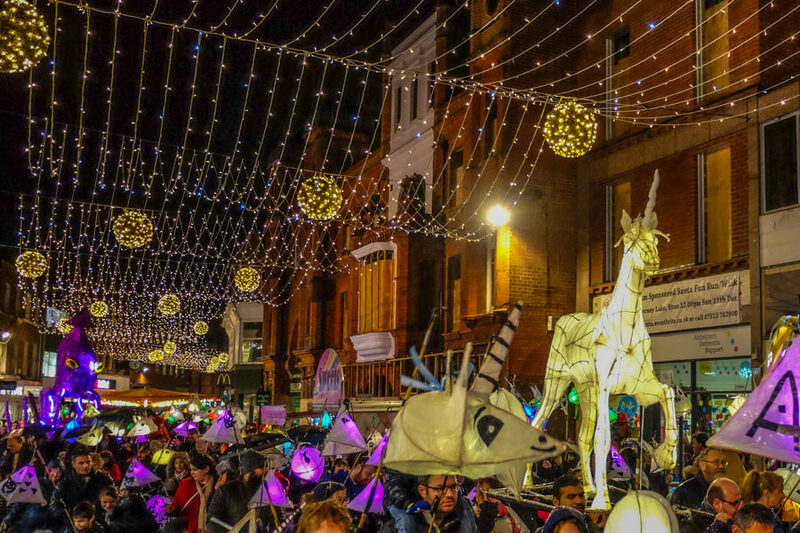 But this post isn’t just about me: I’m always keen to include and support the community of Maidenhead whenever I can and have asked the community what they are looking forward to in Maidenhead in 2018 and I’ve also included their comments in this post. I hope you enjoy reading through and find some inspiration for your Maidenhead life in 2018. 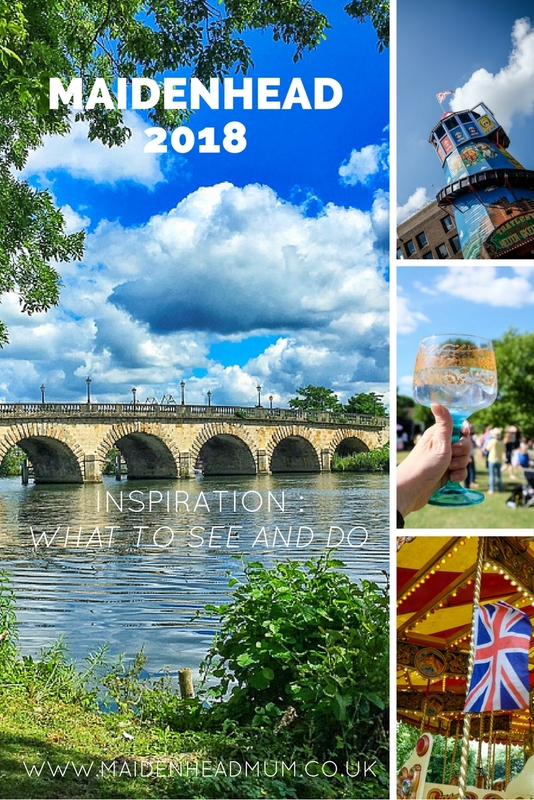 What am I looking forward to in Maidenhead in 2018? One of my favourite places in Maidenhead is Guards Club Park down by the river. 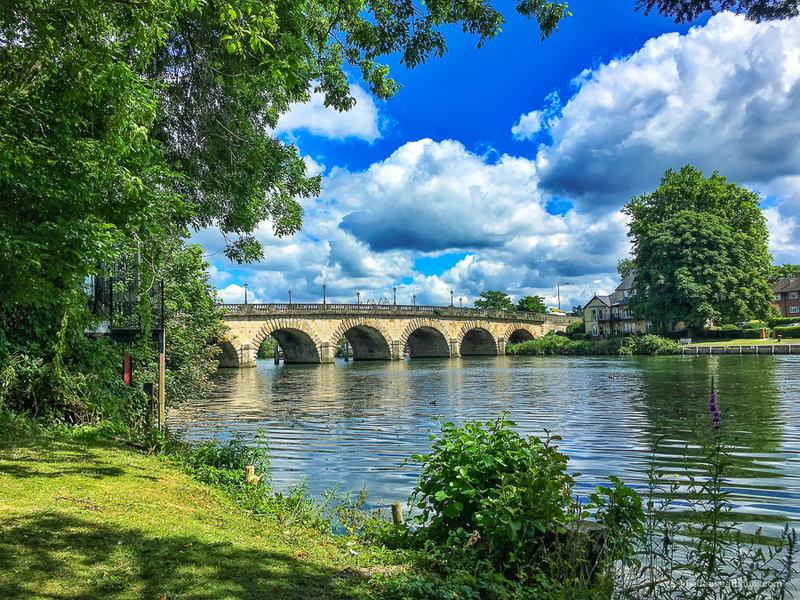 It’s a great place to take photographs of Maidenhead’s iconic bridges and the kids enjoy feeding the ducks and geese when we go. 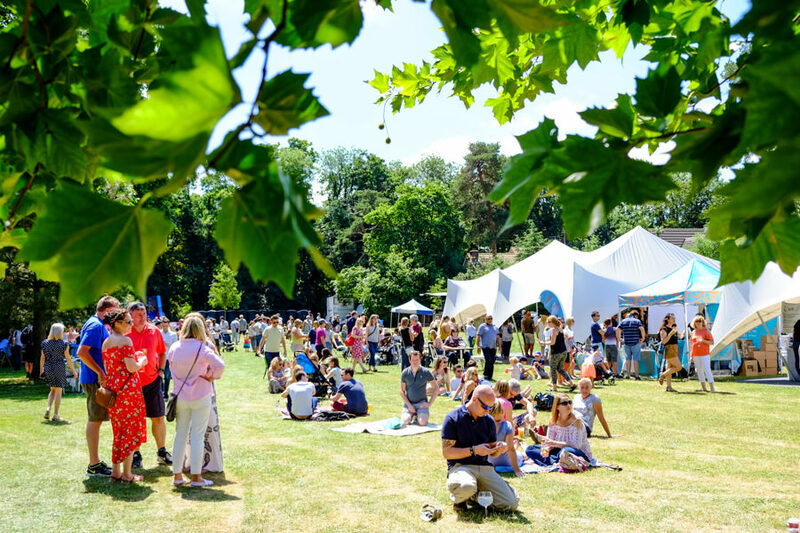 In 2017 the whole park area was transformed for the Maidenhead Gin in the Park Festival. 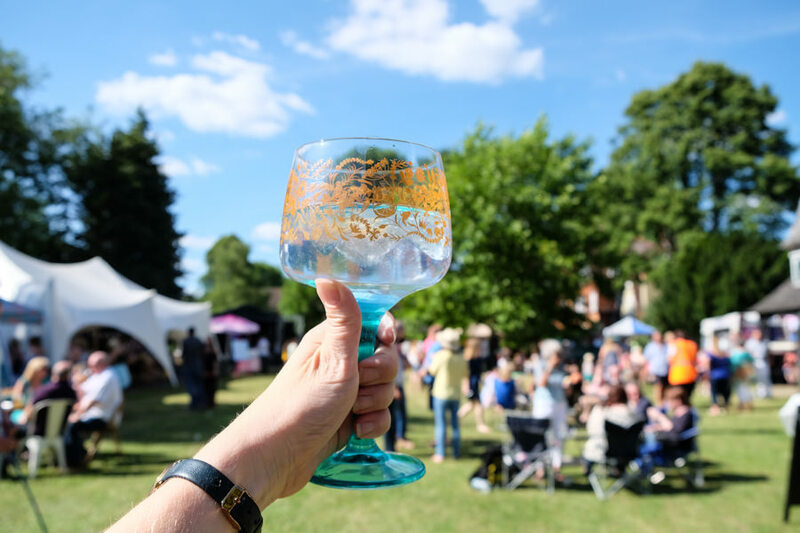 This was a glorious event with live music, dancing, food stalls, cocktails and of course GIN! I’m looking forward to going again this year on the 1st July 2018. 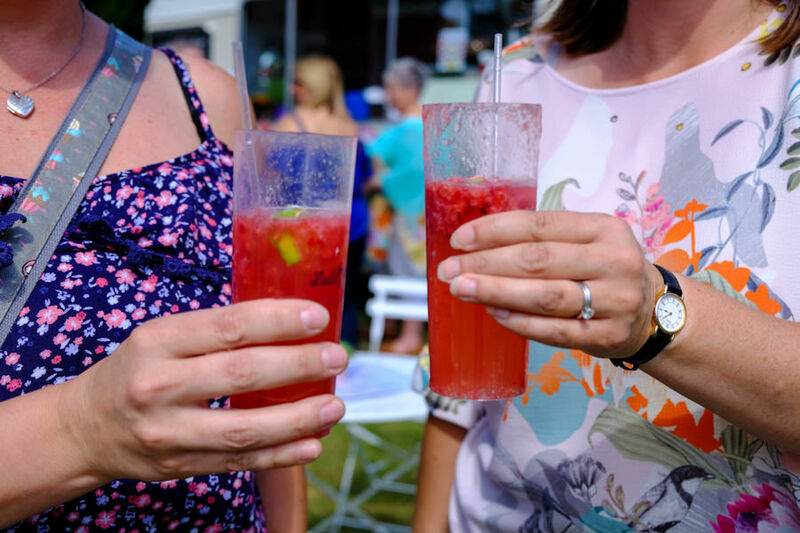 There was a lovely relaxed atmosphere in the park… possibly helped by the sunshine and Gin! You could try a variety of cocktails as well as gin. 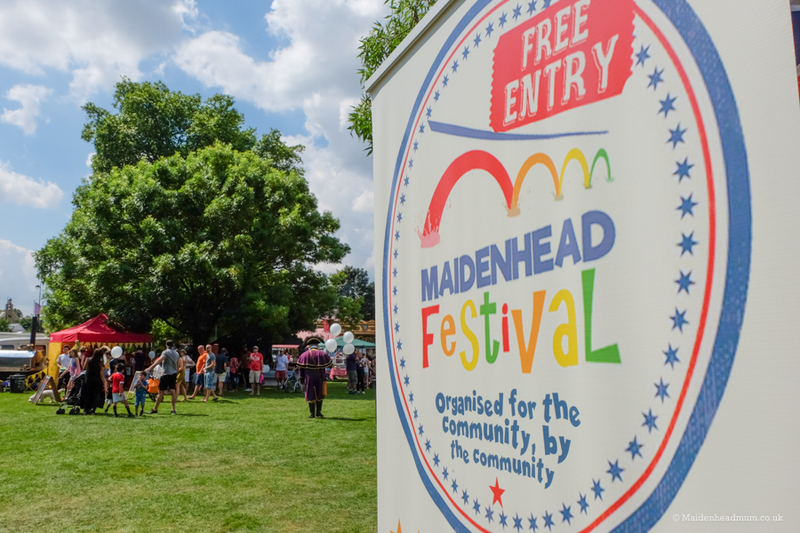 Maidenhead festival in July is always a fantastic event for the community, especially for those with a young family like me. I love the fact that it’s run by a group of dedicated volunteers. 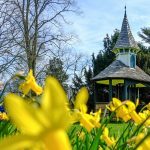 I was so impressed when I was invited to one of their planning meetings that I felt inspired to support the event with money raised by my Maidenhead Calendar sales: last year I donated £750 to go into the festival funds to provide additional activities for the children of Maidenhead to enjoy. 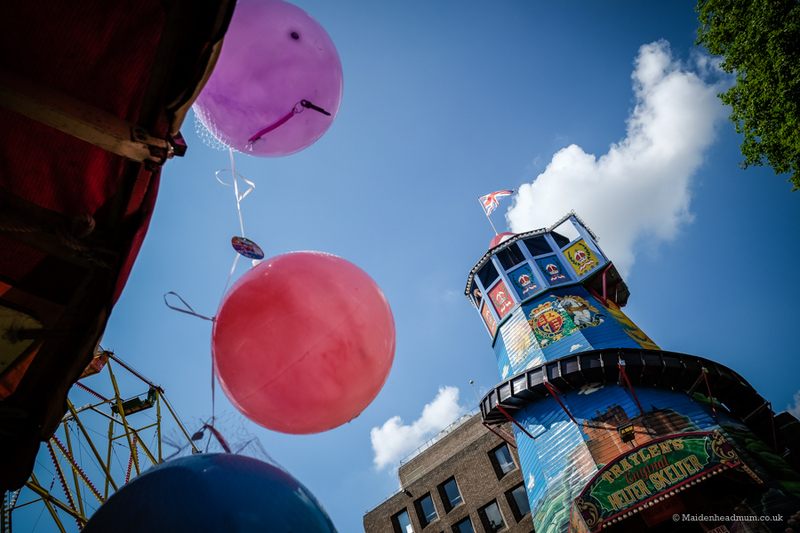 Beautiful weather for the festival in 2016, not so good in 2017 though! 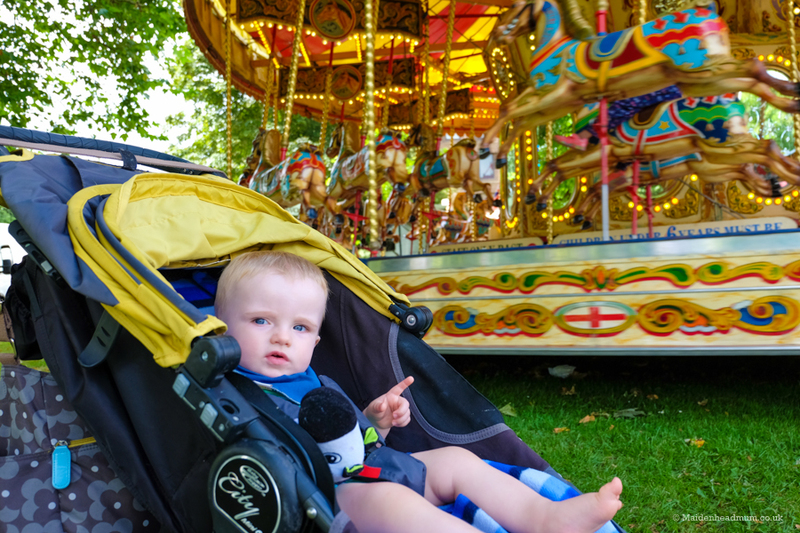 Little Man checking out the carousel in 2015. He’ll be much more mayhem in 2018! 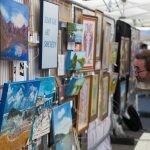 In 2017 I went along to the Maidenhead Town show for the first time, and I was really impressed with what I saw. 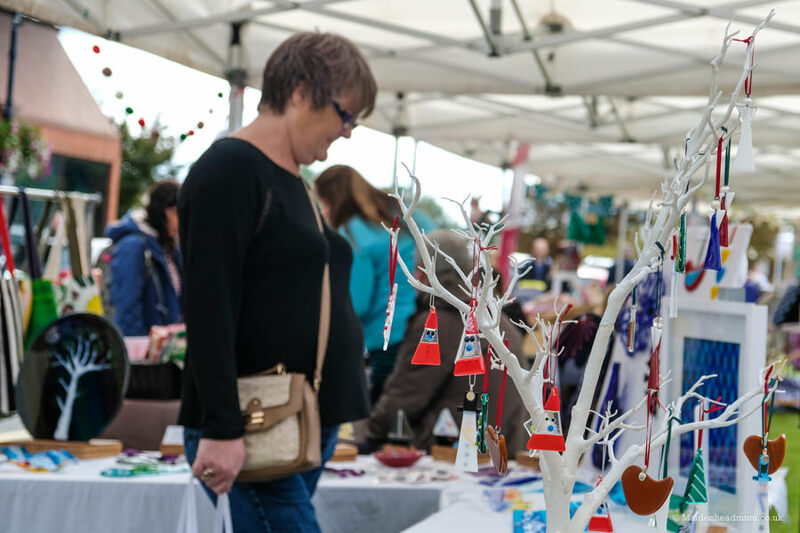 There were prize-winning cakes and crafts alongside stalls from local crafters outside the Town Hall. 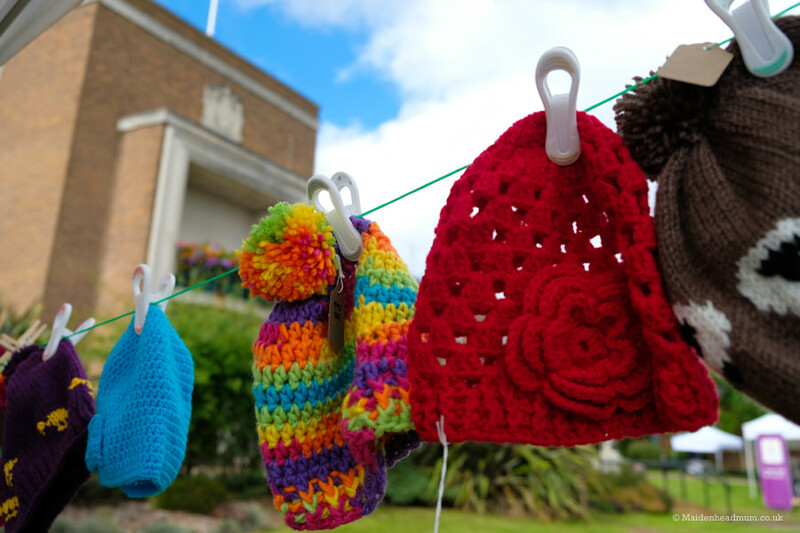 It’s not every day that you see knitted ‘Bobble hats’ on the lawn outside the Town Hall! 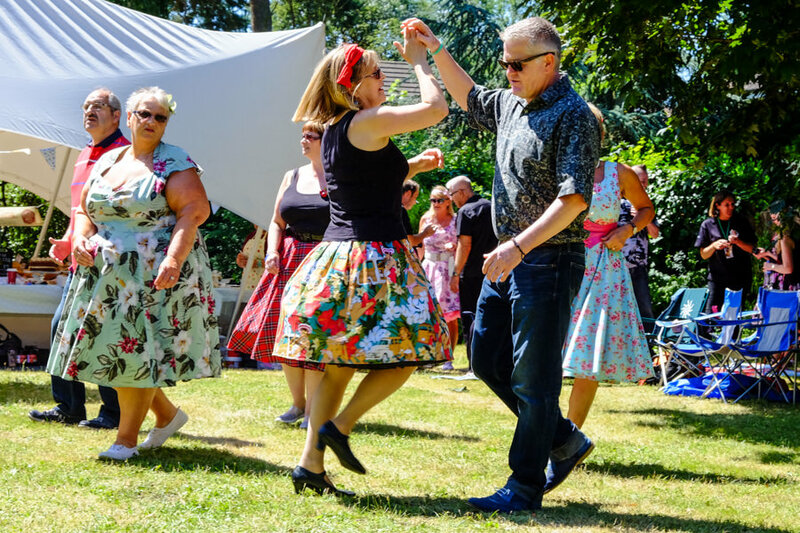 There were live music and acoustic sets from some very talented Maidenhead musicians and singers and even a Maidenhead Dog Show! This event was the first time that I had seen the new grass amphitheatre outside the library be used for a public event during the day. It’s a really great space! There will be another event in September 2018, definitely one to watch out for and visit..or to enter! Take this as a warning to get growing your prize-winning vegetables come Spring! There were craft stalls outside the Town Hall where you could pick up something unique and hand made. Some of the crafters from the Craft Coop had a stall at the show. 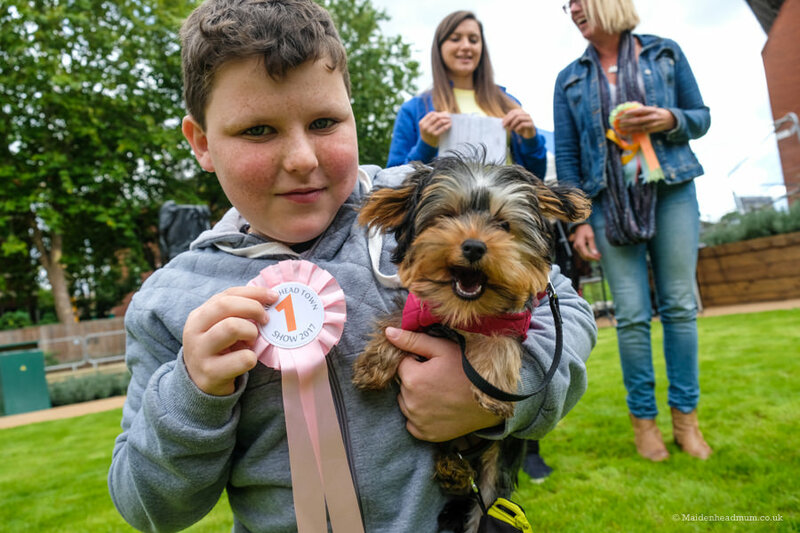 A prize winning pooch: this little puppy was adorable! 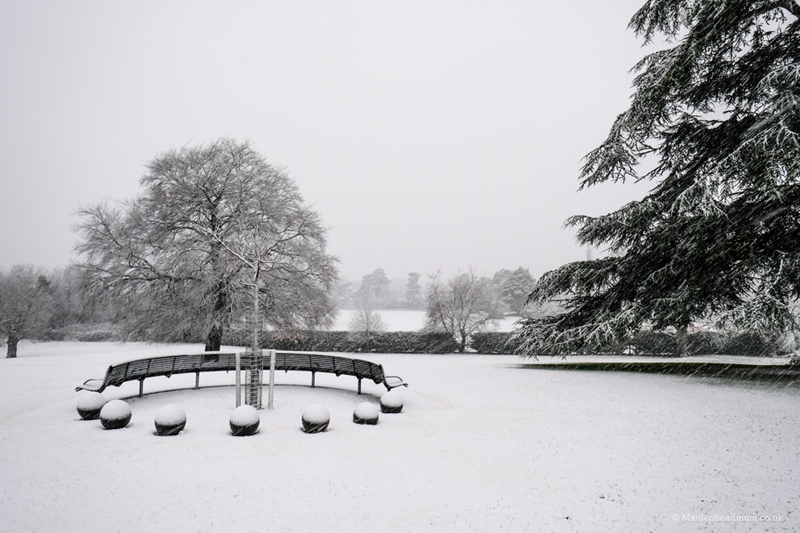 In 2017 we saw a heavy snowfall in Maidenhead for the first time in 5 years. As a photographer, this was incredibly exciting, and I’m always excited about the fact that it could happen again in 2018! 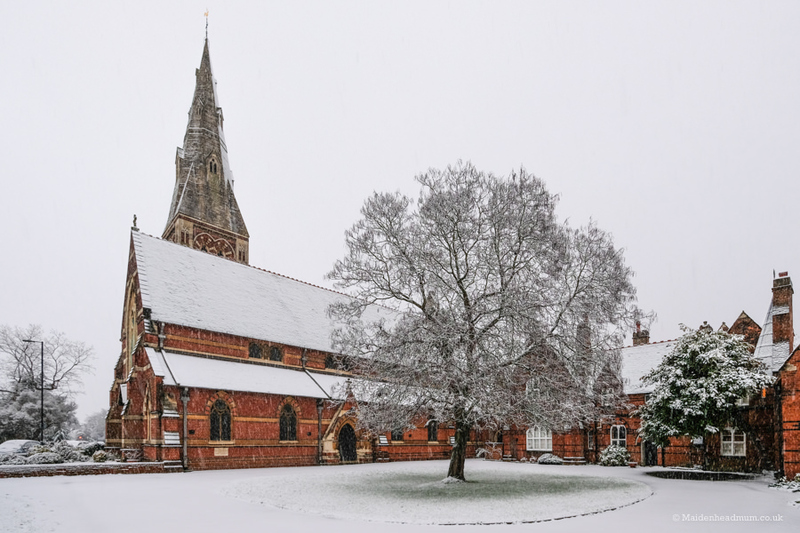 Last year I went out and took photos of my neighbourhood including All Saints Church, St Marks and Boyn Hill Park. I’d love to get some photos of snow by the bridge or down by the riverside. 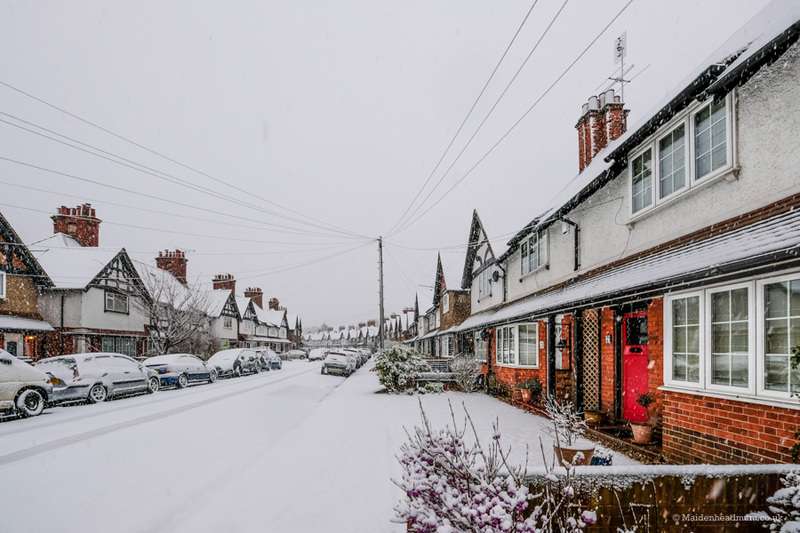 Portlock Road in the early morning snow. 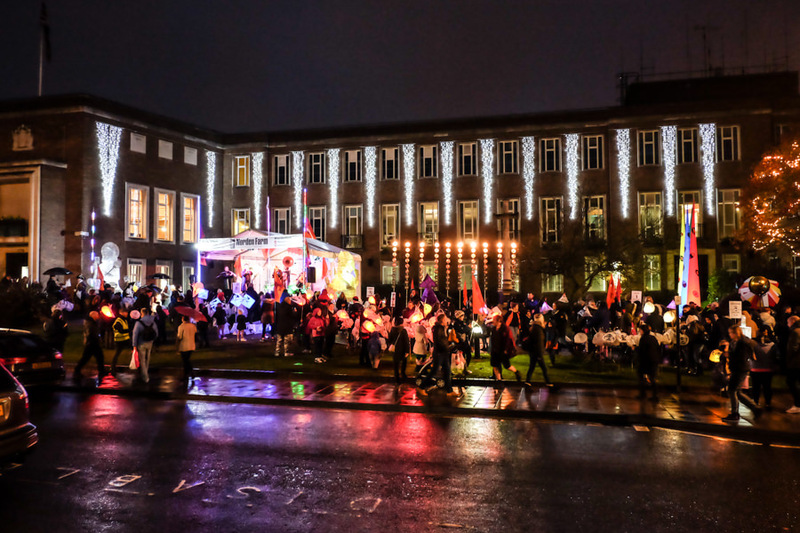 Christmas events in Maidenhead 2018. Unfortunately, in December 2017 I was rather ill with vertigo which meant that I had to cancel a lot of the plans I had made. 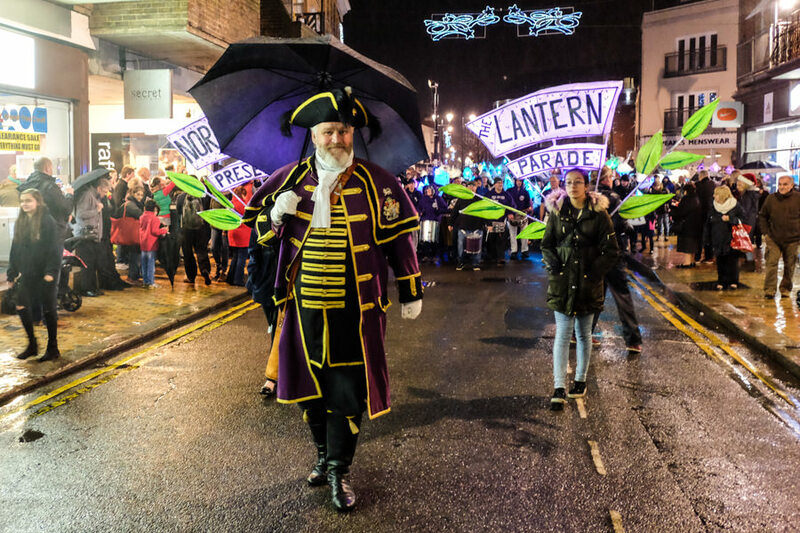 I had been really keen for my daughter to take part in the lantern making sessions so that she could join in with the Norden Farm Lantern Parade. If you’ve never been, I can highly recommend it as a beautiful community event. 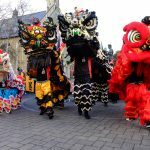 It’s so lovely seeing everyone gather together creating a stunning visual display as they walk the streets of Maidenhead. I’m hoping that 2018 will be our year to get involved. 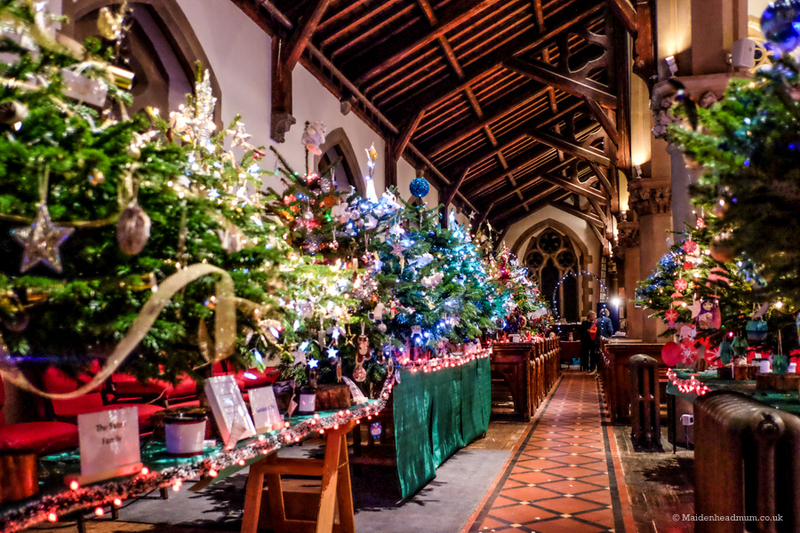 Poor health also meant that I missed out on the 2017 Christmas Tree festival at St Luke’s church, although it was fantastic that some of my readers got in touch after having read about it here on the blog saying how great they thought it was! I’m looking forward to visiting again in 2018. 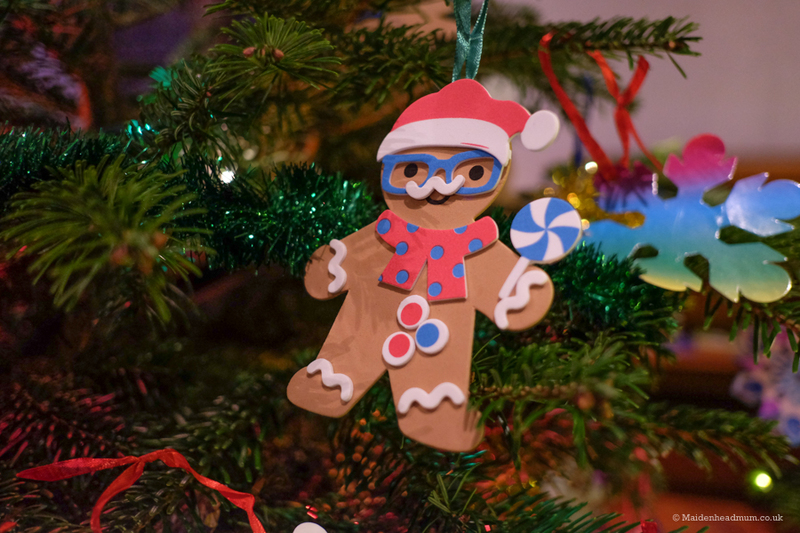 The trees are decorated in a variety of themes and styles. The Maidenhead Town Crier leads the parade to the beat of drums. 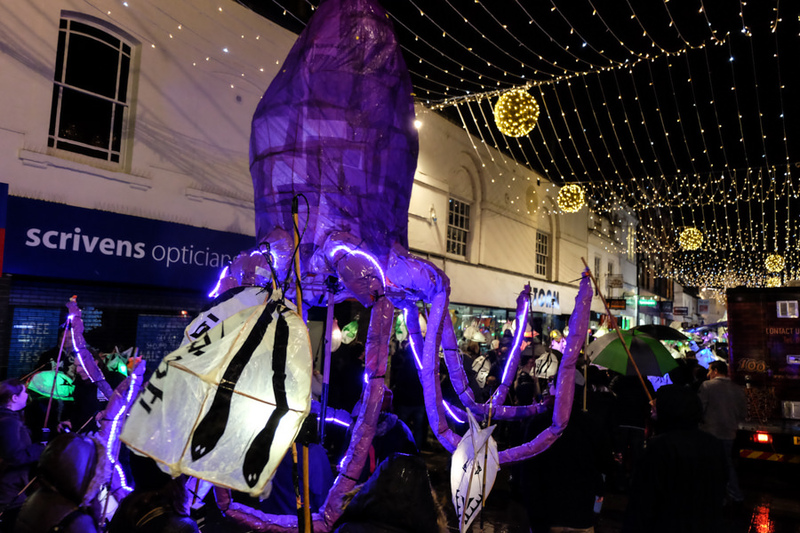 Maidenhead High Street is transformed by the Lantern Parade! 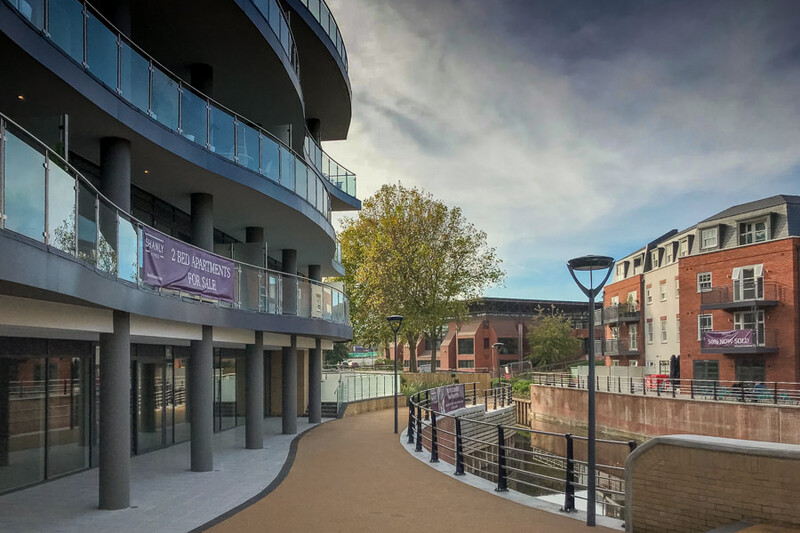 Around town we are starting to see evidence of the redevelopment and transition that Maidenhead is going through, and I’m particularly excited about the Maidenhead Waterways project coming to fruition and the TWO new bridges that we will be able to use. I will be nipping down to the riverside and to the library with my camera very soon! The Chapel Arches area in Maidenhead is already changing and the bridge to the library is now open. Alongside the family-friendly events and the potential photo opportunities, I’m also looking forward to 2018 as being my first year of being fully self-employed in Maidenhead. 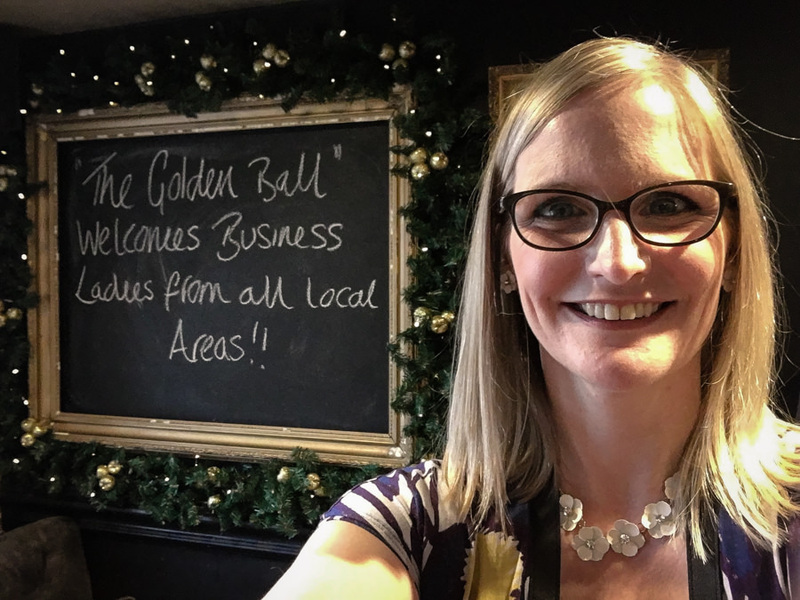 Over the past few years, I’ve been a member of Maidenhead Business Girl’s networking group. I’ve met so many people that have inspired me and given me the courage to leave my day job to follow my passions and build a career that I love. That’s a whistle-stop tour of some of the things I am looking forward to in Maidenhead in 2018 and there are so many more that I could mention, many of which are mentioned in my Maidenhead section on this blog. I’m looking forward to hosting the 2nd annual INSPIRE Conference & Awards on International Women’s Day (March 8th). 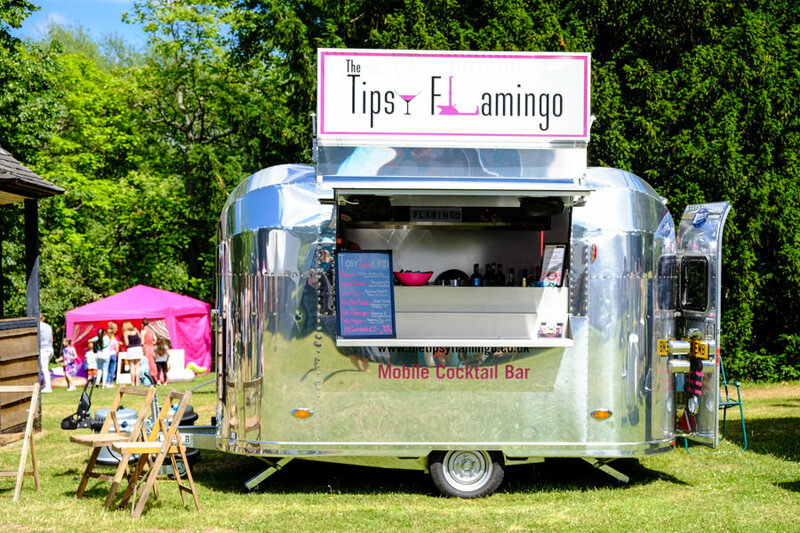 It’s a fantastic way to showcase the female local entrepreneurial spirit in local communities. The awards created a huge buzz and excitement. You can find out more about the 2018 Inspire conference and awards on the Business Girl’s Network site. 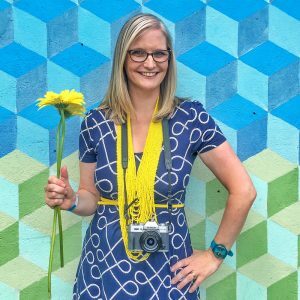 You don’t have to be a member to attend and it’s a great way to meet the Business Girls community. 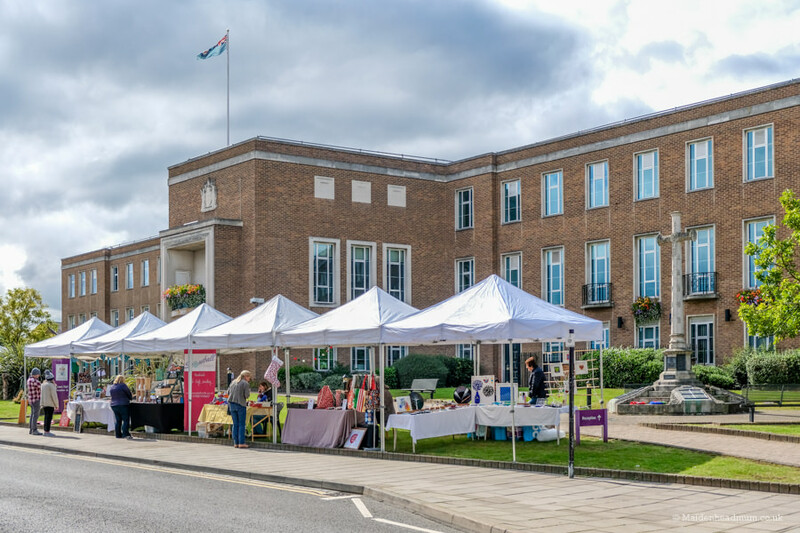 “Maidenhead has a great community for people setting up their own business with groups like Maidenhead Business girls offering fantastic support. In 2018 I’m looking forward to my first anniversary being self-employed! Rachel Cook: Environment Champion and local Mum. If you want to save this post to read later, why not pin it on Pinterest using this pin.